Jeri’s Organizing & Decluttering News: The Hook Box Hits the U.S. The Hook Box is such a practical product! It got a lot of attention back in February on design blogs such as Apartment Therapy and Design*Sponge - but it didn't seem to be available for purchase. Brace yourself for the price: $270. 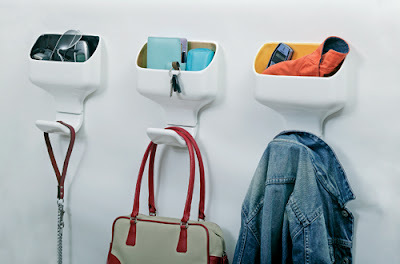 Update on January 11, 2012: The Hook Box, from Bosa, is no longer available from Design Within Reach. I've only found one place to buy it: Casanova, in Denmark.